Brecher is proud to announce that its fifth annual Charity Bake Sale, held on 12 October, raised £600 in aid of Future Dreams with Breast Cancer Now and Macmillan Cancer Support. 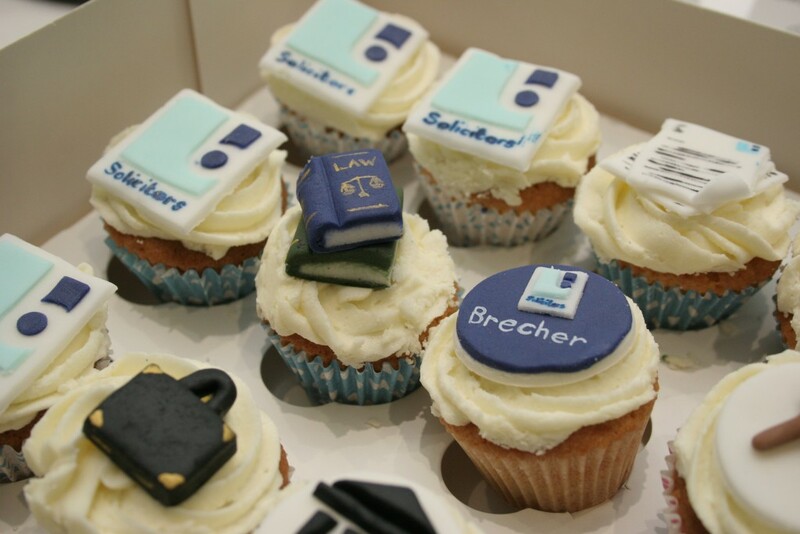 Throughout the afternoon, staff and clients alike enjoyed all-you-can-eat cake, including these fabulous Brecher-branded cupcakes, which were kindly donated by Jenny Pasha from the Canvas Cake Company. Many thanks to the generosity of our ‘master bakers’ and those who came to support these worthy charities.